Local insider guide to Seminyak. Should you go? What are the best things to do, see & eat in Seminyak for families, surfers, yogis, nomads, couples & more. Who should go to Seminyak? 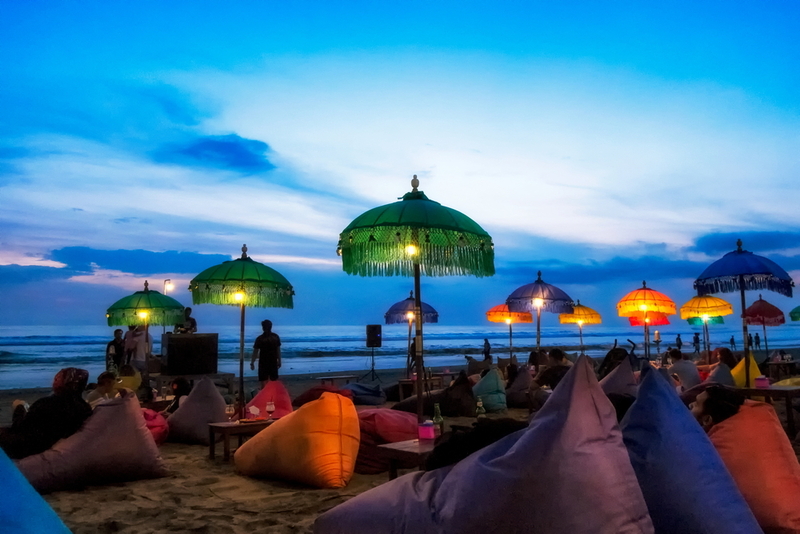 When is time best time of year to visit Seminyak? Seminyak is the ultimate place for relaxation and pampering. Just a 20-30 minute drive from Kuta lies Seminyak, an upmarket beachside town with the best spas, high-end restaurants and boutique shops on the island. Seminyak is paradise for people who love to relax in style and is the number one destination in Bali for pampering and indulging. 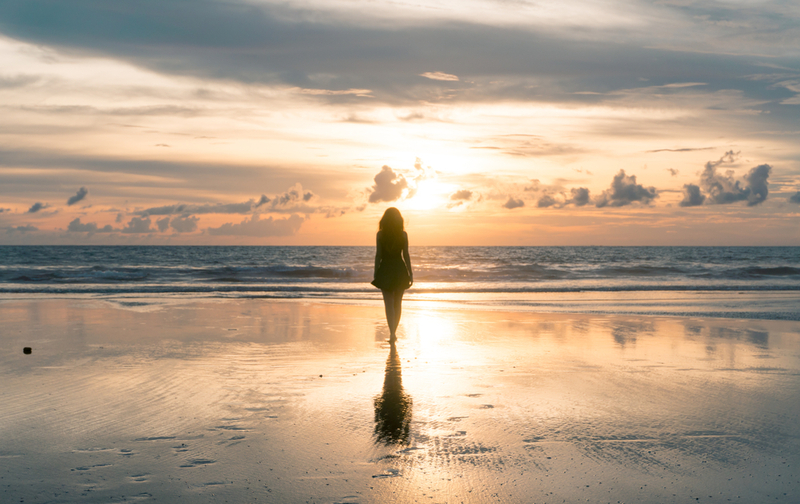 Seminyak’s sensational beaches, luxury villas, high-end restaurants and world-class parties make it the best place in Bali for a blissful break from reality and are popular among couples, groups and families. 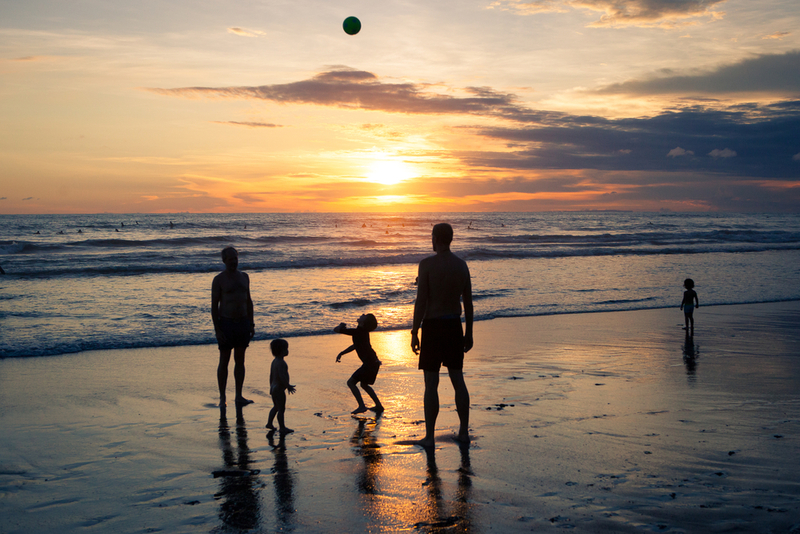 Seminyak is an ideal holiday destination for families. The temperature in Seminyak is pretty consistent throughout the year, ranging from 29-32 C (84-89 F). The amount of rainfall varies significantly, however, and Seminyak is particularly wet in December, January and February. For your best chance of dry, sunny days (and the lowest humidity) visit in the months of June, July, August, September or October. The most popular months to visit Seminyak are March and June, so the streets, beaches and bars will be packed out at this time of year. For sunny skies and smaller crowds, plan your trip for July or September. Seminyak’s party scene is buzzing year-round, with upmarket beach clubs and bars hosting weekly events, live bands and DJs. But what are the biggest and most famous celebrations in Seminyak and when are they? Nyepi is one of the biggest events in the Balinese calendar and is celebrated every year in March to mark the turn of the Saka New Year. While the practice of seclusion, fasting and silence on Nyepi Eve may not seem that exciting, the Ogoh Ogoh parades the day after aren’t to be missed. The highlight of the parade is undoubtedly the Ogoh Ogoh ‘dolls’. These enormous, demonic and brightly-painted effigies are paraded through the streets before being set alight and are a must-see! Head to Lio Square in Seminyak for the parade in March and to take part in this immersive and fascinating cultural tradition. Bali’s biggest beachside music festival is held annually in Seminyak and features a world-class line-up of international DJs and artists. This tropical version of the world-famous Ultra Music Festival is held at Seminyak’s hyper-popular Potato Head Beach Club and draws thousands of partygoers every year. Electronic music fans won’t want to miss this one, so head to Seminyak in September to check it out! Seminyak is all about luxury and the pampering opportunities are endless. Here you’ll find the most sumptuous spas in Bali for massage, facials, manicures and more. Head to the award-winning Jari Menari spa for the best massage in Seminyak and feel your stress melt away under the skilled hands of your masseuse. Alternatively, you could visit the Prana Day Spa in Bali, known for its mind-blowing interiors and royal spa experiences. If you want to soak up some of Bali’s rich and diverse art scene, make sure you check out the Nyaman Gallery in Seminyak. The stunning pieces featured here are the work of local Balinese and Indonesian artists and range from paintings to ceramics. Almost all of the pieces on display are up for sale, making this the perfect place to pick out a unique and original souvenir from your trip. This unique playground-style gym in Seminyak has a fun and fresh take on physical fitness. Learn parkour-style tricks and overcome obstacles at this cool and innovative fitness centre as you jump, flip and fly! Superhuman Fitness is a blast for adults and kids and is a great place to come with family, friends, or even on a date. Bali’s idyllic beaches are world famous and many people visit simply to hang out on that soft, white sand. Seminyak beach spans 3km of beautiful coastline and is a fabulous spot to relax, swim and sip Bintang from your sun lounger. The waves off Seminyak’s coast are calm and gentle, perfect for swimming or taking a beginners surf class during your stay. Hang out all day at Seminyak Beach. Seminyak is all about indulgence and the area has some of Bali’s most stylish and luxurious villas. Host your own exclusive parties, or relax by your private poolside away from the hustle and bustle of Seminyak’s streets. Delicious food, a varied menu and inexpensive pricing make Warung Nia your ideal regular dining spot in Seminyak. Warung Nia serves outstanding barbeque and Indonesian food, as well as excellent excellent veggie options. As an added bonus, they also host cooking classes so you can bring some of those sensational recipes home with you. For the best steak and seafood in Bali, head to The Plantation Grill in Seminyak. The jaw-dropping design of this stylish restaurant creates a cool and classy atmosphere and the food is just as indulgent. The Plantation Grill is perfect for a romantic meal or an intimate evening with friends over cocktails. If you’re craving Mediterranean and European cuisine, check out Chez Gado Gado in Seminyak. This upmarket beachside restaurant has spectacular sunset views, perfect for a romantic, evening meal overlooking the ocean. Alternatively, drop in between 11 am and 4 pm for buy-1-get-1-free cocktails! Bali is best-known for its incredible Hindu temples, but these aren’t the only holy sites worth visiting on the island. The picturesque Santo Mikael Protestant Church in Seminyak has a fairytale design that features elaborate carvings and stained glass. The church and grounds are a magical place to walk around and this little-visited church is usually quiet and peaceful. Jalan Camplung Tanduk is the main party street in Seminyak and is lined with hip bars and clubs. Stay near here to be closest to Seminyak’s nightlife and for easy access to the beachfront in the daytime. This is also where most of Seminyak’s spas are located, so you can soothe away your hangover with a refreshing morning treatment. Convenience is key for families and most will want to stay somewhere centrally located in Seminyak. 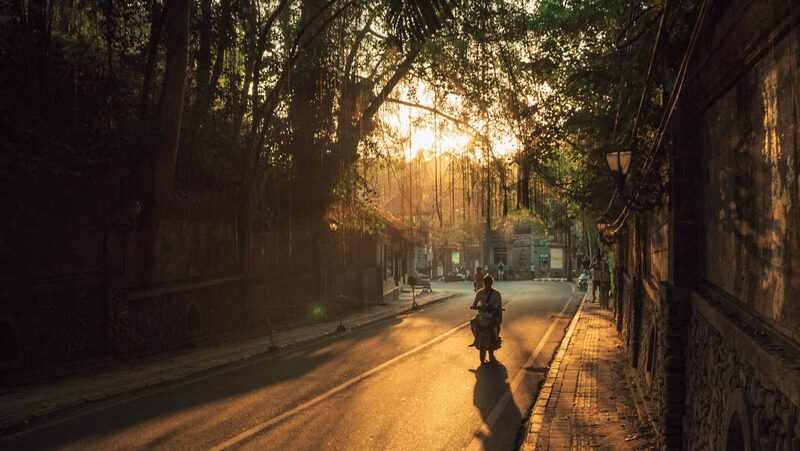 The area around Seminyak Square has easy access to the town’s main shopping and dining areas and is only a few minutes walk from the beachfront. Seminyak’s main shopping street is Jalan Kayu Ayu. A little more inland, but still walking distance from the beach, this is the perfect place or shopaholics in Seminyak. 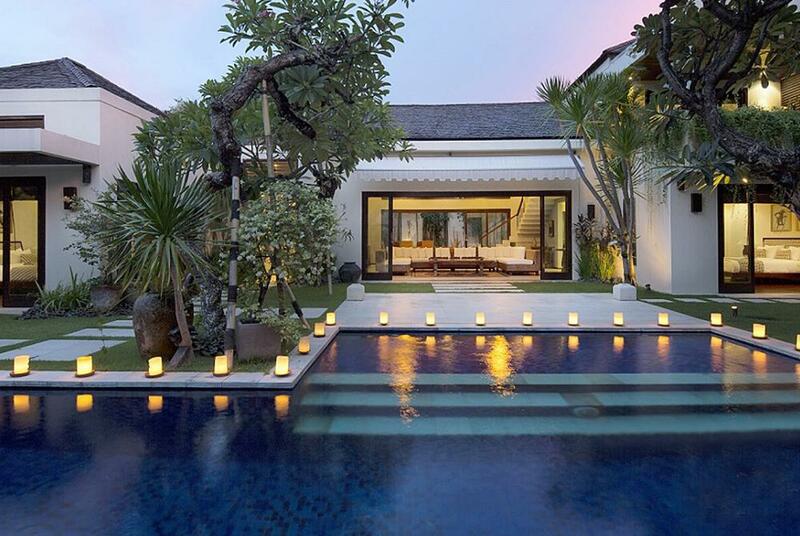 Renting a villa in Seminyak is the perfect way to take your luxury lifestyle up a gear in Bali. Villa Jemma is exquisitely designed, with a stunning pool area for lounging and relaxing during your trip. If you can tear yourself away from the poolside, you’ll find that the villa is centrally located amidst Seminyak’s coolest bars, beach clubs and restaurants, and the beach is just a few minutes away!